Since it is the Lenten season, the meat free Fridays continue until Lent is over. The parents and I decided to have Japanese for dinner and we managed to catch up with my bestie too! 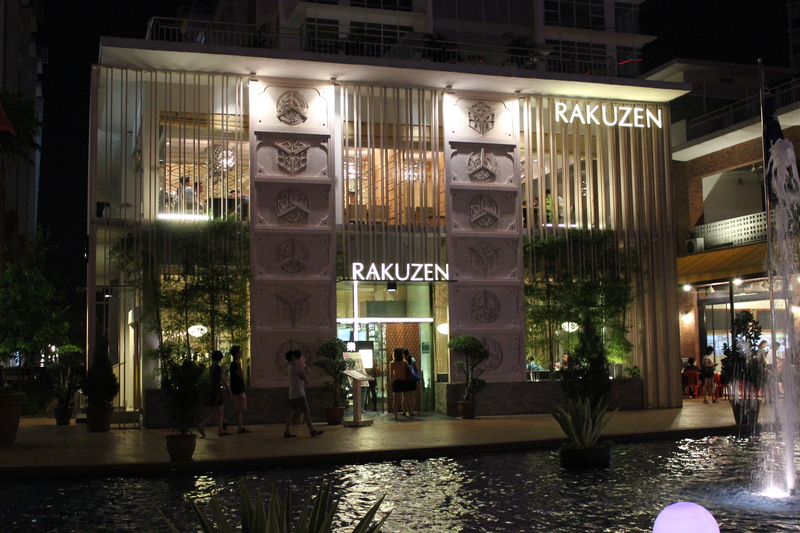 We decided to have dinner at Rakuzen at Oasis Damansara because the place is so pretty at night, with lights floating on the pond while its surroundings are restaurants. If you haven’t been to Oasis Damansara, I highly recommend you to check it out. Back in the days when I was still living in KL, my family and I used to dine in Rakuzen at SS15, Subang Jaya. Now Rakuzen, which is under the same company (Superdining) as Hokkaido Ichiba, Zen and Kura, has expanded its business all over KL, bringing locals quality and authentic Japanese food. So, check out the Superdining website and you may find a Rakuzen near you! To start off, we had the Chuka Iidako (RM10), Mame Aji Karaage (RM10) and Agedashi Tofu (RM12). 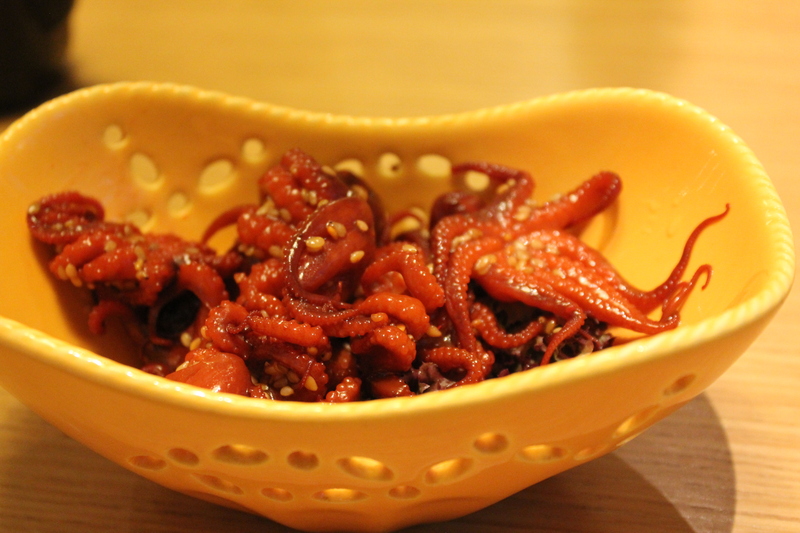 The Chuka Iidako is a seasoned baby octopus. It was very fresh in flavour. 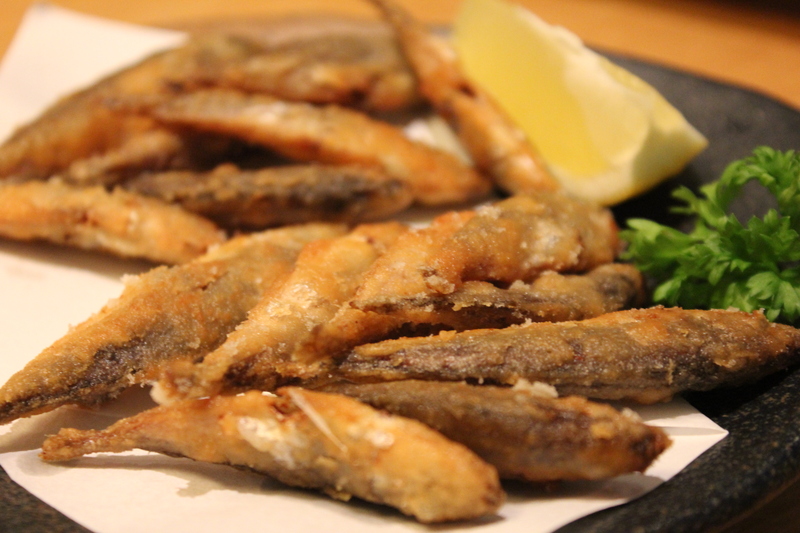 The Mame Aji Karaage is a baby horse mackerel and it was deep fried to perfection. Put side by side with Sake and I think the Mame Aji Karaage will make a fantastic snack. 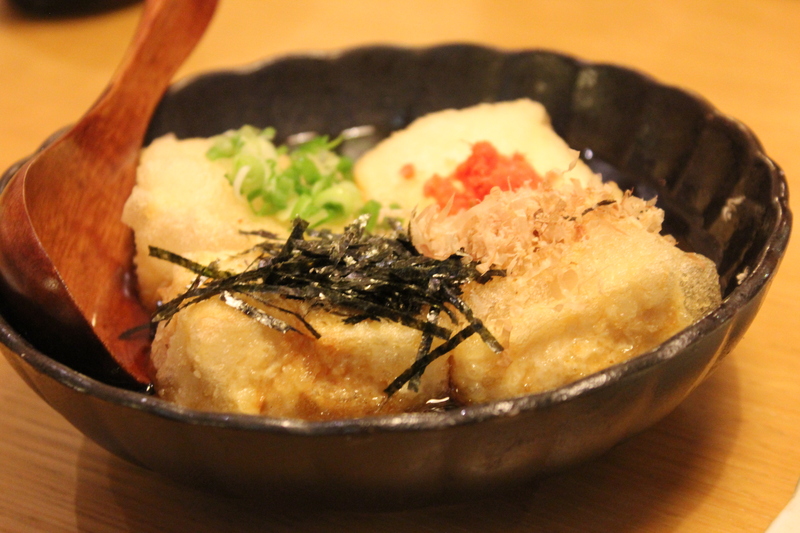 The Agedashi Tofu was lovely. It was lightly fried on the outside while retaining its soft and silky tofu textures. Not long after, our Ikura Chawanmushi (RM20) arrived. I love Chawanmushi with a passion and it’s probably one of my favourite Japanese dishes. Ikura Chawanmushi usually comes with salmon roe on the top of the steamed egg. 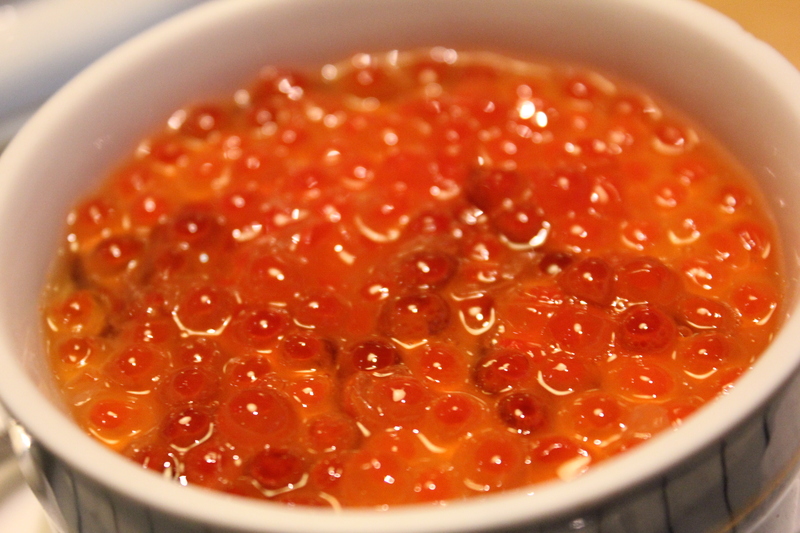 In Rakuzen, you can find a generous amount of salmon roe floating on top. Put your spoon through the chawanmushi and you will find yourself savouring the smooth and silky steamed egg. Oh so good. 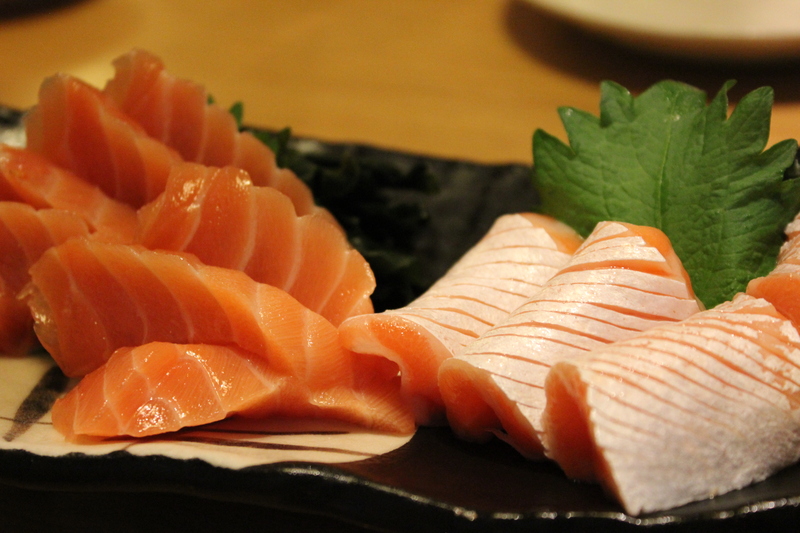 We also had the Salmon (RM22) and Toro Salmon Sashimi (RM30). The sashimi at Rakuzen was very fresh and was sliced to perfection. How I wish that I could have more. Our Dragon Maki Roll (RM30) and Cranky Salmon and California Temaki Roll (RM8) arrived. Presentation was spot on and both of the rolls were wrapped neatly. 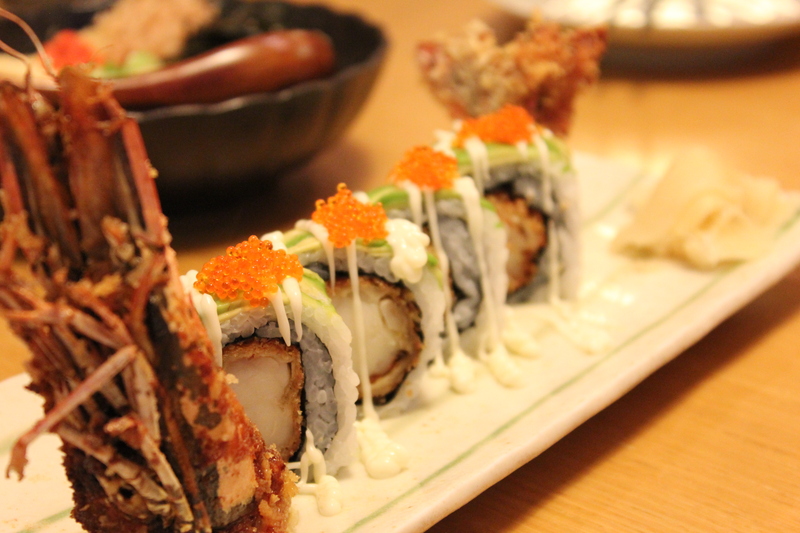 For the Dragon Maki Roll, a big tiger prawn is deep fried to perfection and is used to make the dish. So with every bite of the roll, you will get a nice crunch. Delicious. Temaki is also known as a Hand Roll. Just like the Dragon Maki Roll, presentation was topnotch and clean cut, with fresh flavours. 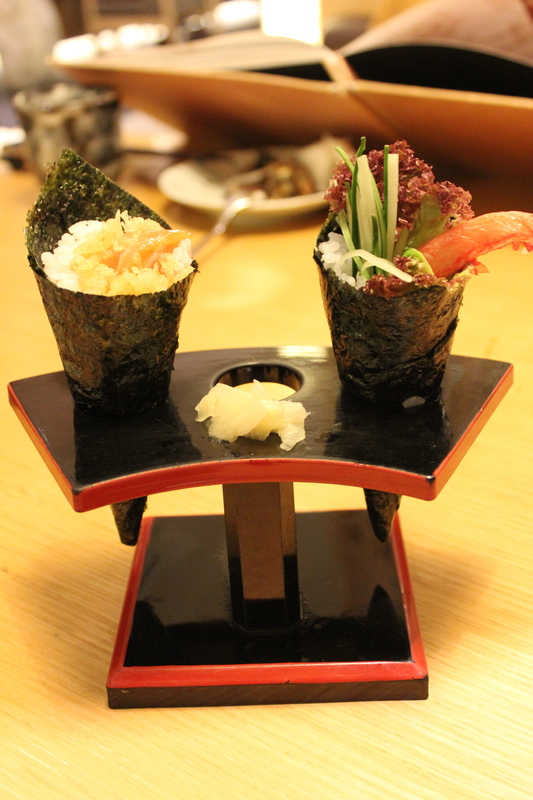 We shared the Saba Shioyaki (RM16) and the Shishamo (RM10). Saba Shioyaki is a grilled mackerel with salt. 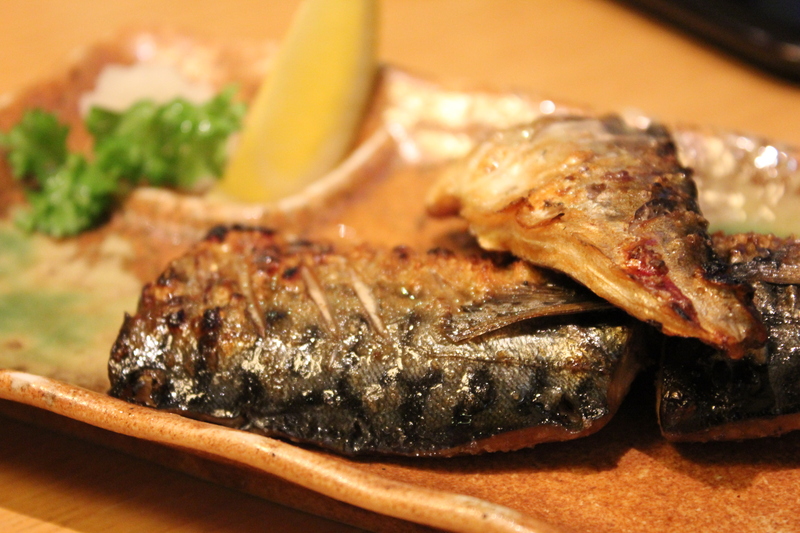 The Saba Shioyaki is grilled to perfection and the mackerel was very fresh and tasty, with a tinge of salt. 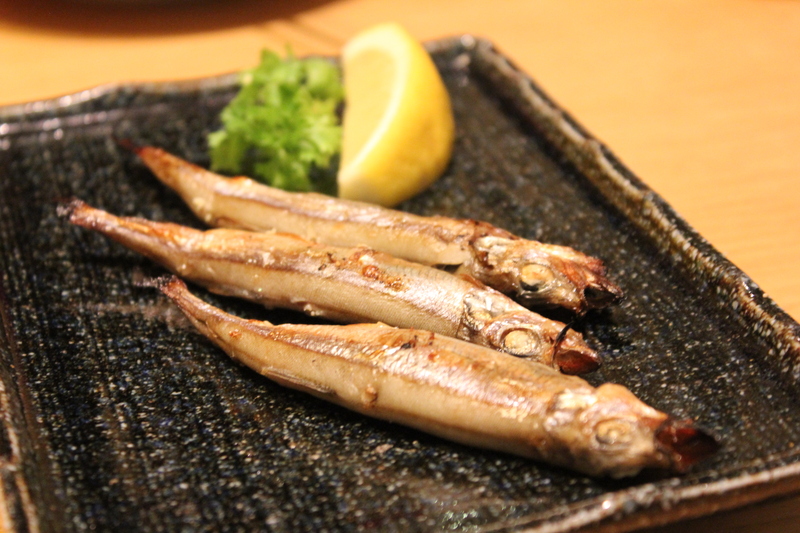 Shishamo is a Japanese delicacy and is usually served grilled or fried whole with its roe intact. The Shishamo at Rakuzen was also fresh. Yes, you are meant to eat the whole fish, including the fins, head and tail. We thought that the Shirasu Chahan (RM13) was going to be our last dish but as we still have rooms in our stomachs, we decided to add on a Tempura Mori (RM26) and Crunchy Salmon Maki (RM16) to our order. 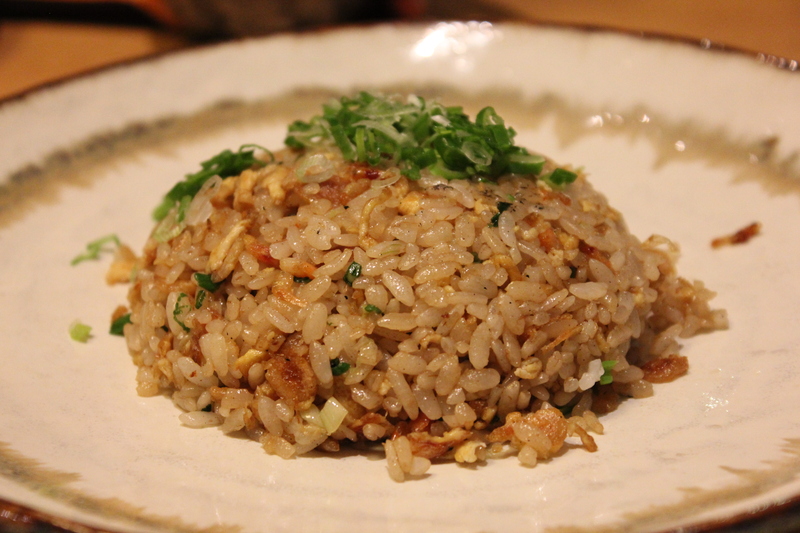 The Shirasu Chahan is a Japanese style fried rice with anchovies. The fried rice was full of flavour. 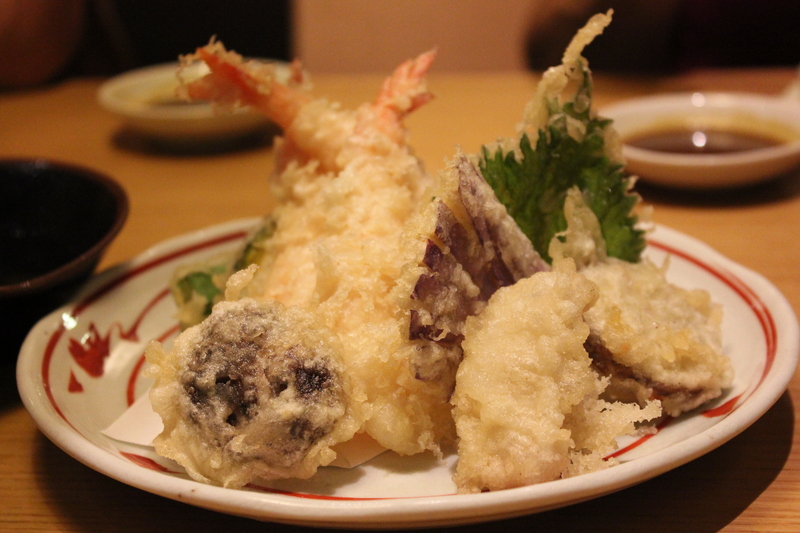 The Tempura Mori consisted of assorted vegetables and prawns which were lightly fried. The tempura batter was very light in flavour with a hint of crispiness. 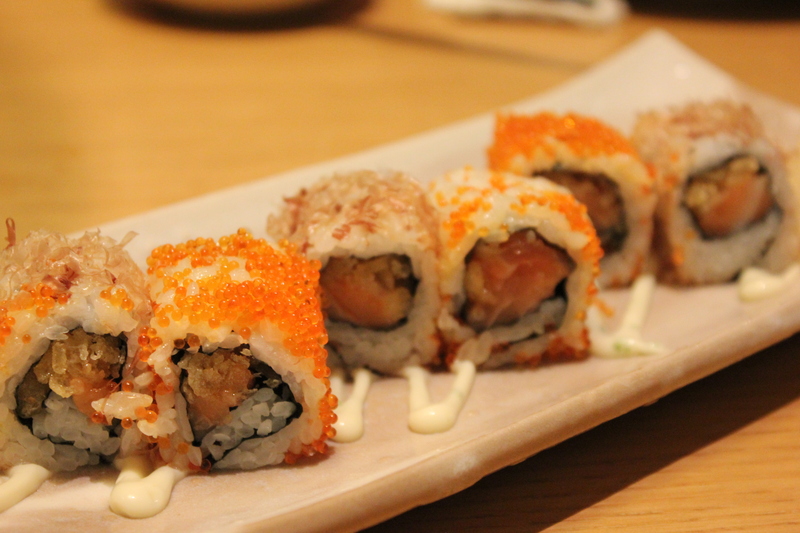 Just like our rolls we ordered before, the Crunchy Salmon Maki had a nice and neat presentation. It was lovely too. To finish off, we shared some desserts. We had the Nama Choco Ice (RM13) and Yukimi Daifuku (RM8). Basically, the Nama Choco Ice is green tea ice cream coated with green tea powder and the same for chocolate too. 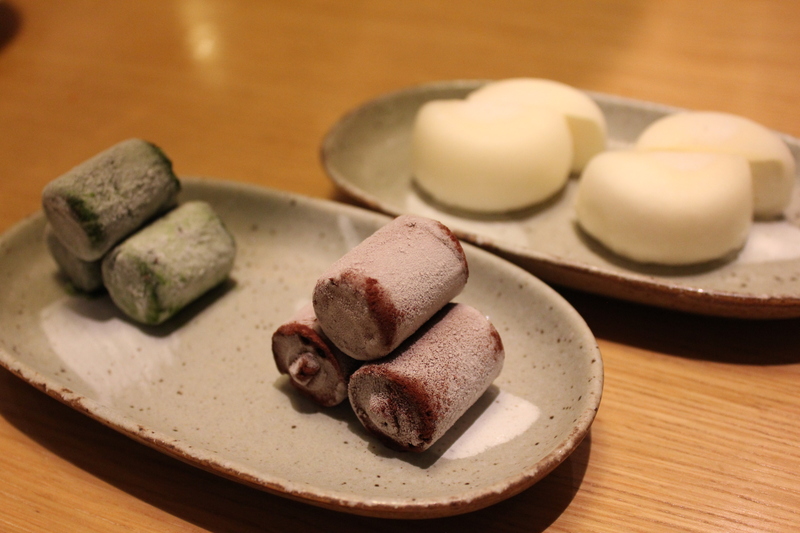 The Yukimi Daifuku consists of a ball of vanilla ice cream wrapped in a thin layer of mochi or rice cake. My verdict? I love both desserts and I thought that they were really good! As we were at Rakuzen on a Friday night, we were lucky to get a table although the table we were seating at was reserved at 8.30pm. So we had to leave before 8.30pm, but it was all good as our food arrived promptly and the service was quick and efficient. Rakuzen at Oasis Damansara is busy during the weekends and bookings are highly recommended to avoid disappointment.